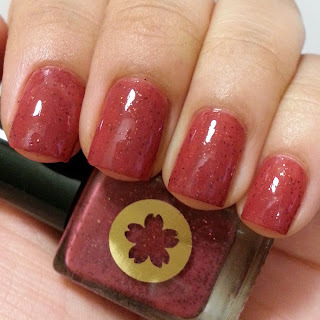 Join me as I make my way through the wonderful world of nail polish! Hello everybody! I'm trying to get back on track with the blog so here I am! :) Today is Thursday and it's time for Indie Thursdays once again! 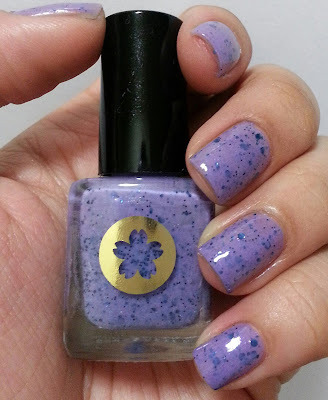 Today I have for you an indie brand I have only known about due to Jessica's (@bluevelvetlacquer on Instagram) recent swatches: Sonnetarium. I've only seen this brand on her but I was intrigued by her swatches, so naturally I had to search for it! Jessica didn't include a link with her swatches though, but luckily the bottle showed the website. Michelle's love of nail polish began in the summer of 2011, at which point her collection quickly escalated beyond her wildest dreams. She did, however, discover that she had a desire for something more, beyond what the traditional companies would offer. 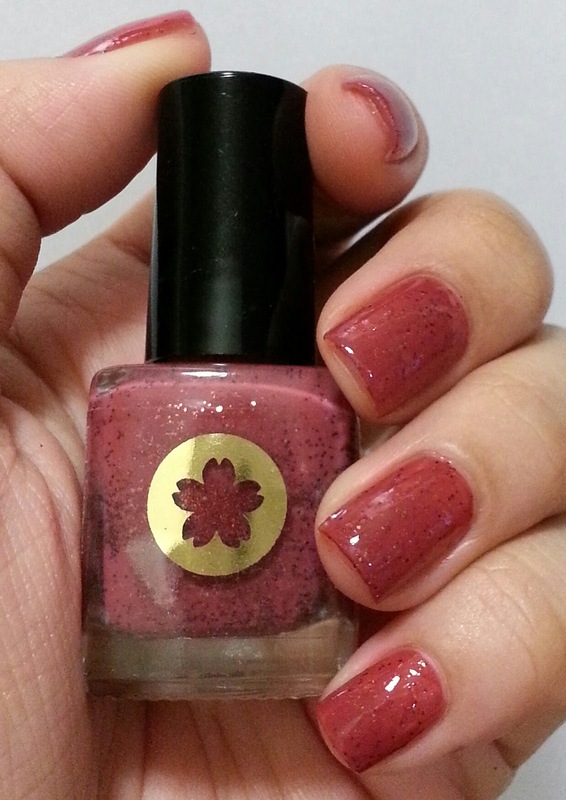 With an affinity for pattern and design, a quest began to create polishes that she loved but could not find. Sonnetarium was born with humble origins. Each label was painstakingly hole-punched with a scrapbook puncher, each polish mixed to-order. But with expansion and growth coming fast, it became no longer feasible. Michelle enlisted the help of her family to expand Sonnetarium to the four-membered business that it is today. With the expansion and upgrades, one thing remains certain: our attention and catering to customers comes first and foremost. The lacquers have undergone reformulation to provide the best wear and application possible; the labels and bottles are sleek and reflect our extreme attention to detail. But most of all - we will always include a handwritten note with your order. You keep us alive and kicking, and it is your passion that drives ours to make us what we are today. Every one of our customers is important, and we hope that our demeanor emphasizes that very fact. Our nail lacquers are now 3-free: free of Formaldehyde, Toluene, Dibutyl Phthalate, and never contain ingredients tested on animals. Two collections caught my eye: the Fresh: Spring 2013 and So Punny: S/F 2013 collections. For this post I will showcase Fresh. Let's get right to the swatches, shall we? First, the shade that piqued my interest: Raspberry Sorbet. Raspberry Sorbet looks brick red to me... 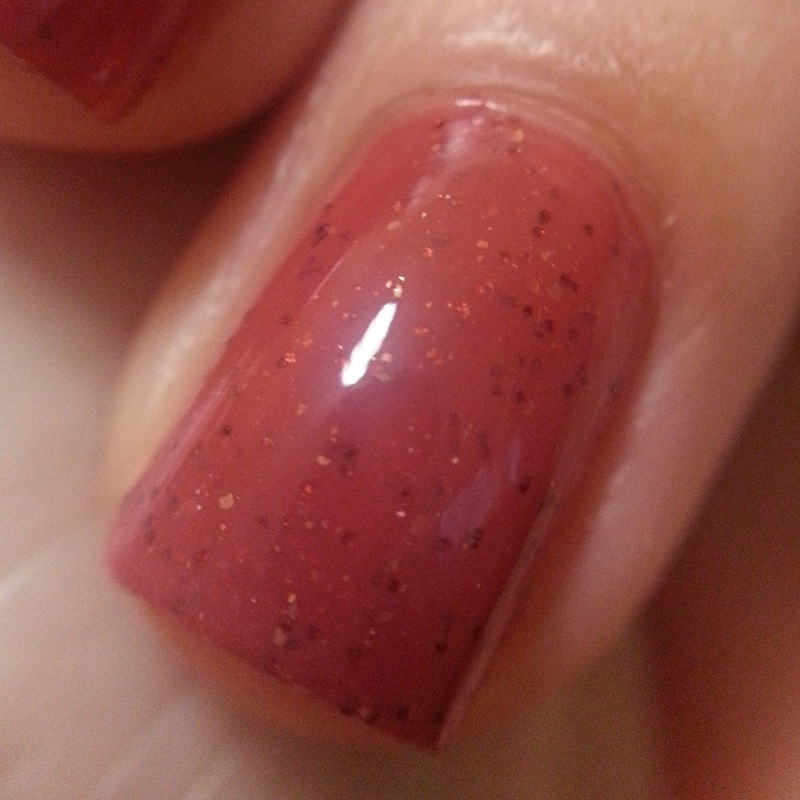 It's a crelly (more towards the creme side) with deep red glitters and gold and copper fleck shimmer. Very interesting shade, indeed! I had the most trouble with taking a pic on this one. Tsk! This was three coats with top coat. Next, we have another shade that I saw on Jessica: Strawberry Smoothie. 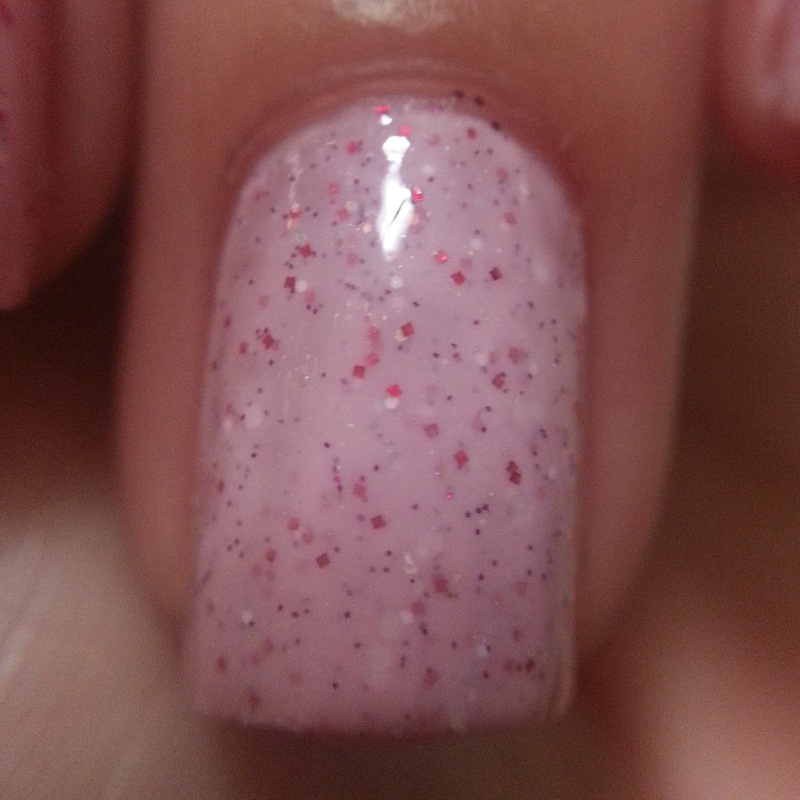 Strawberry Smoothie is a light pink crelly (more towards creme) with red square glitters, plus red, white and holo glitters of multiple sizes. This polish makes me crave for a strawberry smoothie! Aptly named, indeed. This is three coats with top coat. And here is Banana Pudding. 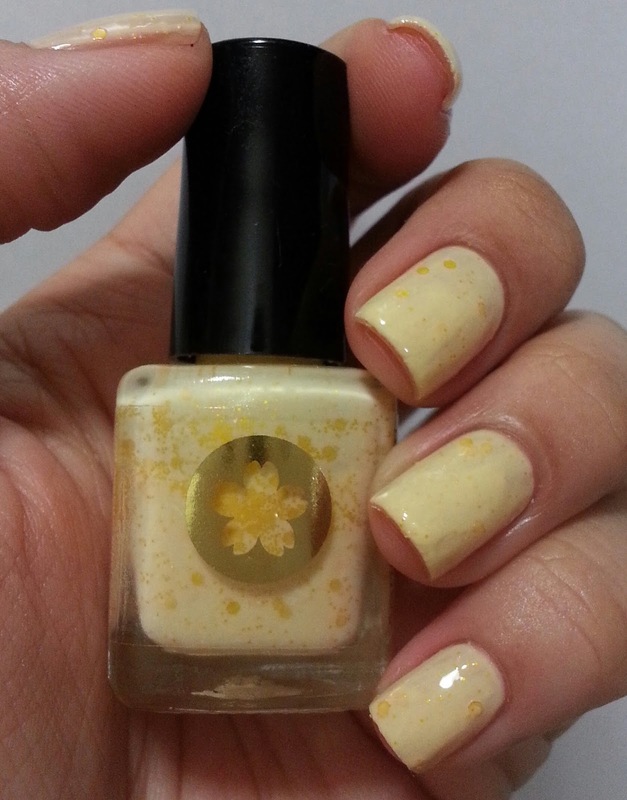 Banana Pudding is a creamy light yellow crelly (more towards jelly this time) with matte yellow glitters of different sizes. Now this one was the problem child for me! I couldn't quite get the hang of applying this polish just right, so I ended up using four coats and the glitters drowned... I love the base though but I don't know if it was the formula or the brush that caused it to apply very streaky. I did wait a couple minutes for each coat to dry but it was just dragging and leaving bald spots. Anyway, it also makes me think more of creamed corn and less of banana pudding, lol. 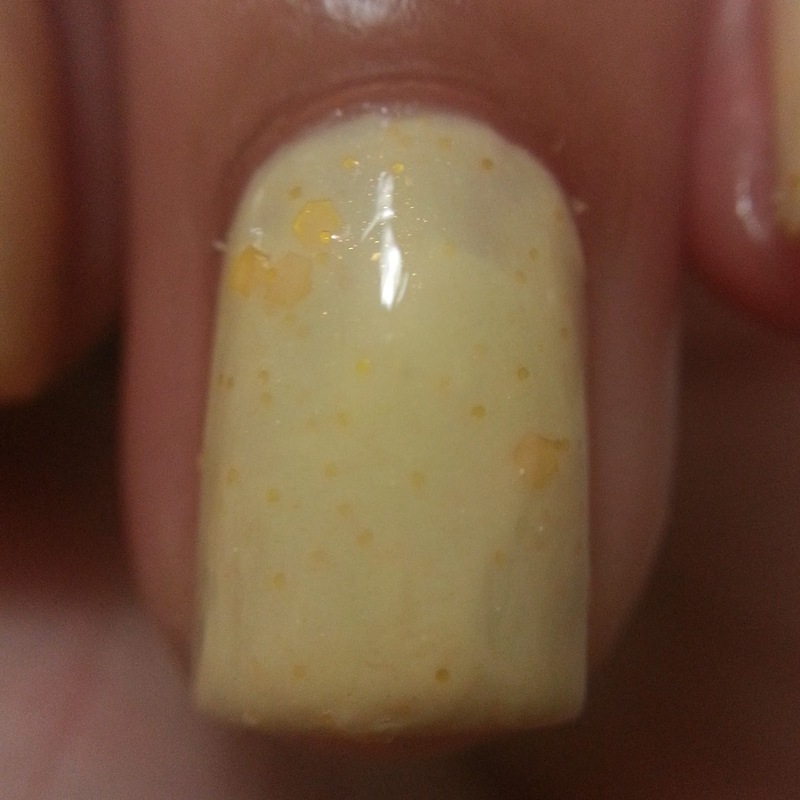 This is four coats with top coat. And rounding out the collection, here is Blueberry Yogurt. Blueberry Yogurt has the same feel as Cucumber Salad, a little on the thin and runny side, but boy is it gorgeous. 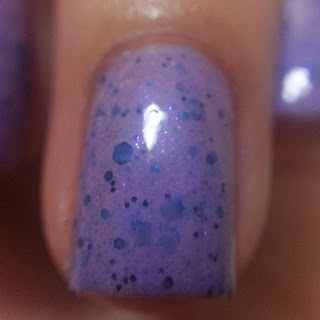 It's a blue-toned purple with a beautiful violet shimmer, plus darker purple hex glitters of various sizes. It reminds me of a Jamba Juice Bananaberry smoothie, which is my ulitimate favorite smoothie, although the actual smoothie is more red than this one. The glitters look like the blueberries blended into the drink. 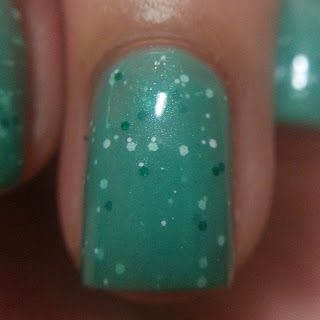 :) This is three coats with top coat, but could probably use another coat, or an undie. Thoughts? I love the concept of this collection. I also love how Michelle named the collection after food instead of flowers/plants like what other brands do with their spring collection. I bought the mini bottles, which was a steal at $6 for a 9 ml square bottle, considering most indies offer minis for $4.50-$5 for a 4-5ml bottle. The price was also what convinced me to buy the collection. The packaging is also simple but beautiful, very professional-looking. The brush is tiny though, so I had to load it with polish, and it felt a bit stiff to me. Well, it is a mini bottle so the brush size is understandable, but there are minis with bigger brushes, so I'm wishing these had a bigger brush. I'm not sure if it contributed to the streaky application of Banana Pudding, but I can live with it. The colors are gorgeous enough to make up for it, in my opinion. It's a shame though, because I love yellows and Banana Pudding was so beautiful. I tried so many times to put it on but I was afraid to finish the bottle so I stopped at my third attempt. Anyway, the formulas are a bit inconsistent, as while the first two polishes were just right, the third polish was thick, and the last two polishes were runny. I'm not sure if Michelle intended it to be that way but I would've liked it to be more consistent. Dry time was a little slow, but thin coats and a fast-drying top coat will solve that. 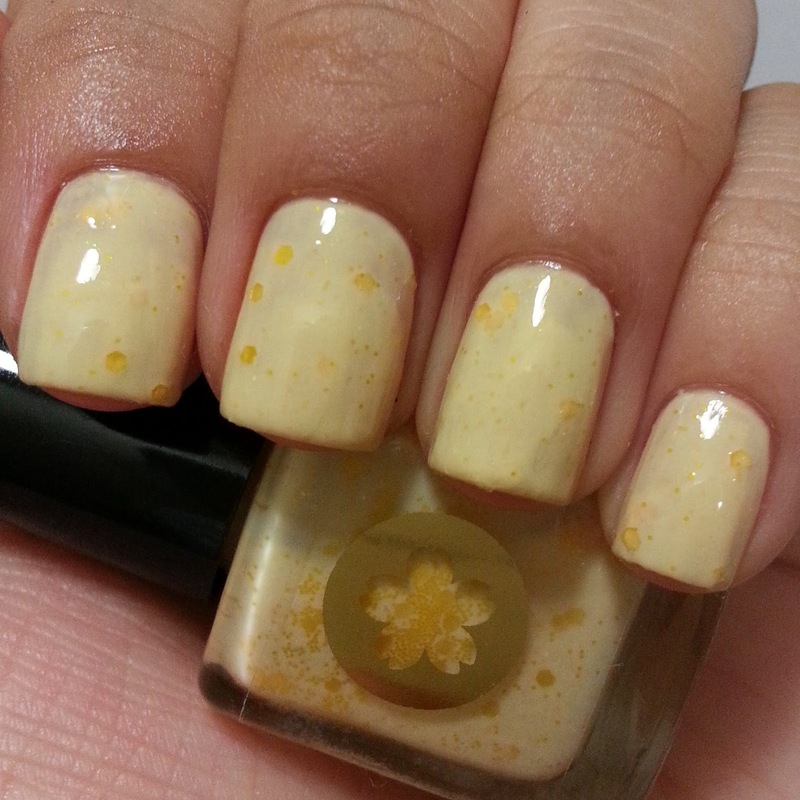 Would I recommend these polishes? Yes, for the most part. The colors are very pretty, and the price is pretty decent. Don't let my issues deter you from these polishes! It might just be user error and you might have a better experience with them than I did. The size of the mini bottles is impressive at 9 ml (some major brands have less than that, and they're full-size!) Some might find the full size bottles to be a better deal ($8.50 for 15 ml) so it's up to you which one you're comfortable with. Thanks for the mention! I loved your swatches! I didn't have a problem with the formula of my polishes...so its weird that you would. Like you said, maybe it was the brush. Great post! Cucumber Salad is the best from here as for me.